"TruthSeekah entered the world Derek Grosskurth on January 17, 1984 in the small Cajun town of Houma , Louisiana . A radiant beacon of hope, Derek actually came from a shadowy past. By the tender age just thirteen he was already dedicated to the occult seeking the meta-physical and supernatural. However, God saw fit to touch Derek’s heart and save his soul. Derek was born again and filled with the Holy Ghost the summer of 1998, unfortunately his walk with God only lasted the summer. Derek transferred to a new school after summer vacation and immediately became immersed into the “thug”-lifestyle. He began smoking, drinking, and soon after became addicted drugs and relapsed into occult activities. He became so fascinated with the dark-arts that he began to experiment with séance rituals. Needless to say, Derek soon found himself in a place he did not want to be. At sixteen, he was plagued with paranoia and schizophrenia. Derek, now overwhelmed with a demonic presence, was stricken with terminal sickness and could not even look anyone in the face. Derek was losing his mind due to his demonic affiliation and marijuana use. With a broken spirit and a contrite heart Derek called out to the Most High God. He remembered the awesome presence of The Holy Spirit and the story told of the only begotten Son of God, Jesus the Christ. Derek and his girlfriend prayed and he was delivered that very moment from his demonic affliction. Derek has married his girlfriend and is now a loving husband and proud father of a beautiful daughter. 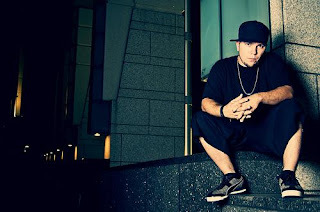 In September of 2006, Derek Grosskurth was christened TruthSeekah with the release of his debut album “Fight Music”. After a two year hiatus, the Lord blessed him to return from the studio with his sophomore album “The Fall of Babylon”. Since his rededication to God, TruthSeekah has been immensely blessed. Once lost, but now having found the “Truth”, he “Seeks” to lead the lost out of the shadows and into the light of Christ! Continue to pray for TruthSeekah in his mission to lead souls to Christ. Here's an artist I networked with on myspace. Immediately we found a mutual respect for each other's work, music and worldview. Check out TruthSeekah.. a witness for YHWH and formidable opponent to satan and his NWO.